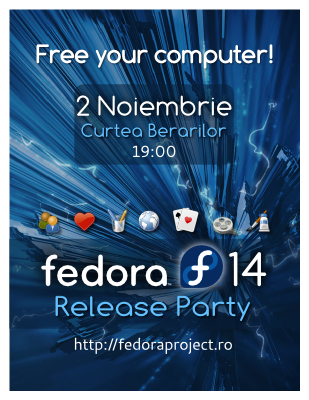 This is pretty much a tradition in our (Romanian) community: at the moment of a new Fedora release we are partying. This time we'll meet (again) at Curtea Berarilor in the old city of Bucharest, Tuesday 2 November 2010, starting hour 19:00. You know you want to be there.